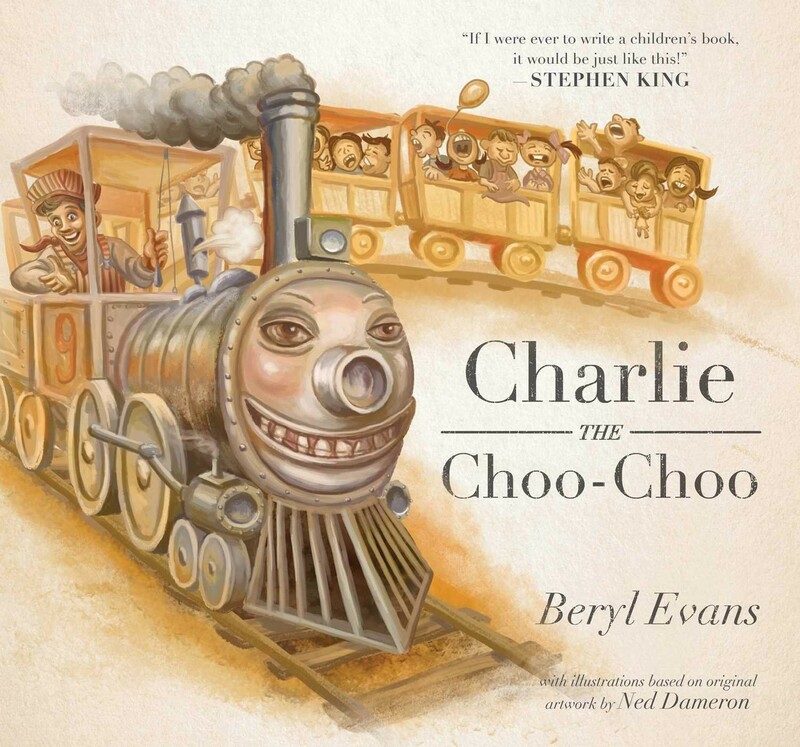 The Children's Book Is Called "Charlie the Choo-Choo"
And it's written by one Beryl Evans. If you're wondering who that is (since this should be about King), and you're confused, allow us to explain it to you: that's King's pen name for this book. The name actually comes from a character in another King novel, The Waste Lands. What we think is humorous is his own endorsement up top of...himself. Cheeky, King. Cheeky. The guy always had a sense of humor, but we've got to say that Charlie here doesn't exactly look like Thomas the Train. The content's definitely scaled down for kids, though, but you can see a bit of Maximum Overdrive and some Christine sentimentality here, something about inanimate objects coming to life and taking over humanity. Great stuff. Thank God Kids Won't Be Screaming Their Heads Off Over "Charlie the Choo-Choo"
And once again, King -- we applaud you. It takes a certain sort of skill to write a children's book (dare I say more skill than writing a horror novel). You've got to be in the mind of a child. And King's mind is anything but a child!